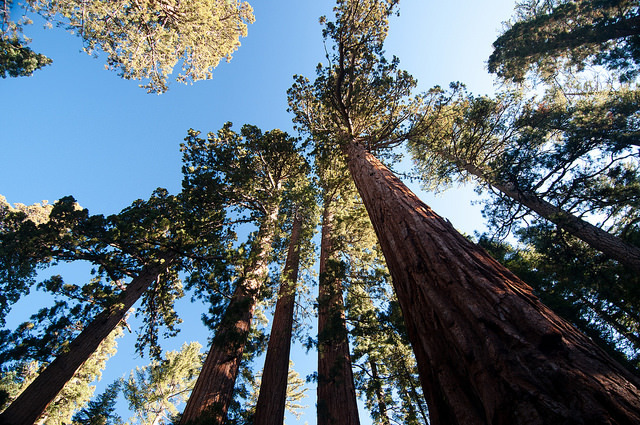 Last fall, scientists noticed that giant sequoias trees were losing a startling amount of foliage, something they’d never seen before, and a sign that the ancient trees were stressed by drought. Now, they’re racing to figure out if the trees are in trouble, and trying to forecast their future. The Guardian, September 2015. Photo courtesy Flickr user Chris Eason.